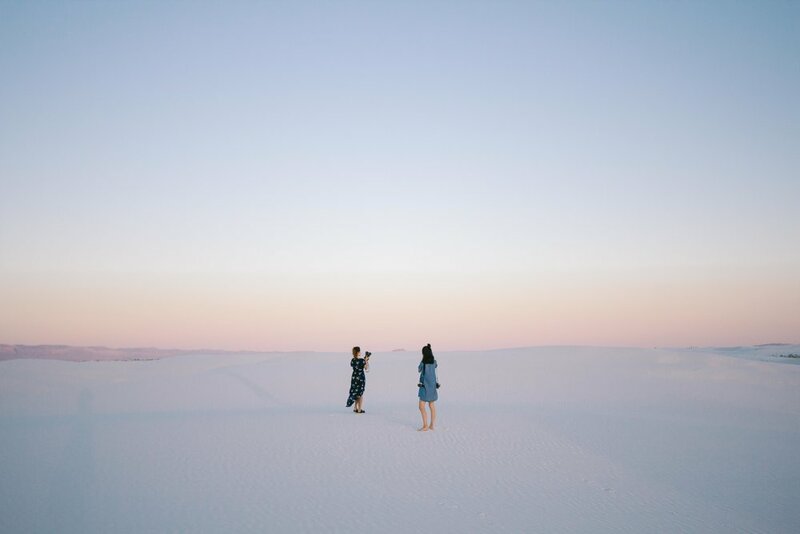 Here she takes us through one of her most visually breathtaking travel-photography adventures, with a trip to White Sands National Monument. With the few weeks we had left in college, my girlfriends and I decided to *YOLO* as the kids would say and embark on a 12 hour road trip to New Mexico in the middle of midterms season. Crazy, I know. But let me tell you something... it. was. worth. it. 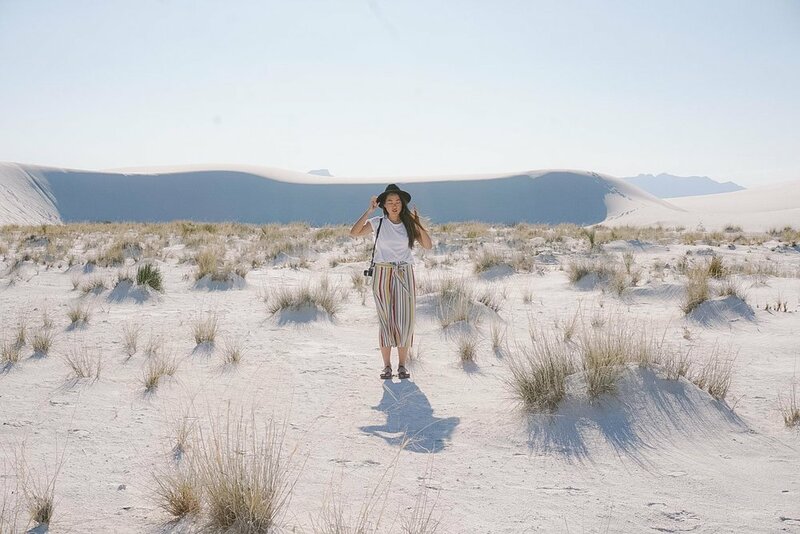 The sole reason we took this trip to NM was to visit White Sands National Monument. Its vast landscape and beautiful sand dunes took my breath away and I had to pinch myself to make sure I wasn't just dreaming. The sun was beating down on us and we caught the scenery right before the sun set. 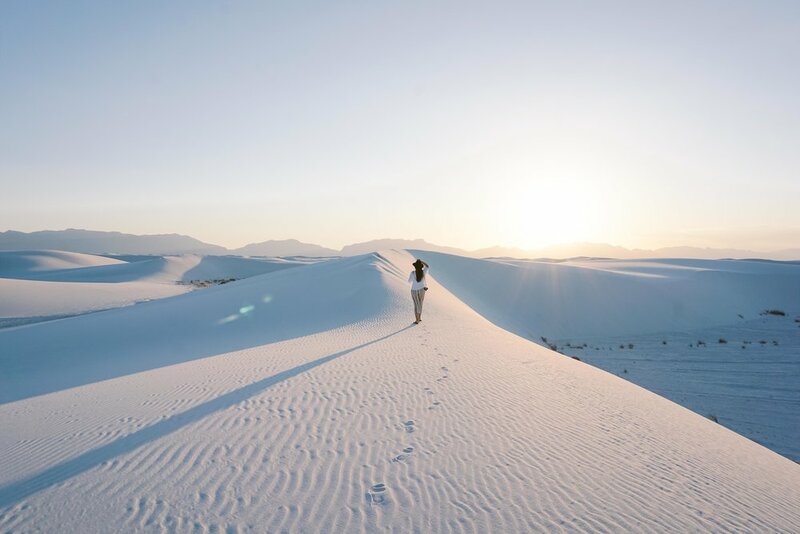 There was nothing like the sweet silence of the desert with the slight wind whistling as we ever-so-calmly tried to dance our way into the never ending dunes. These photos were taken from my Sony A5100. This camera is great because it's versatile in both its still and film shooting. It's also compact enough for me to carry around everywhere versus my hefty Canon DLSR. Because we were in the desert with the sun rolling high, I ended up using a high aperture for most of my photos. I also had to DIY using my hands to cover the top of the lens to avoid getting too much sun glare. I barely edited these photos in post as well--not much you can retouch when the scenery itself is absolutely gorgeous! Overall, this trip provided us with such a lovely escape away from the chaos that would be our post-grad life. 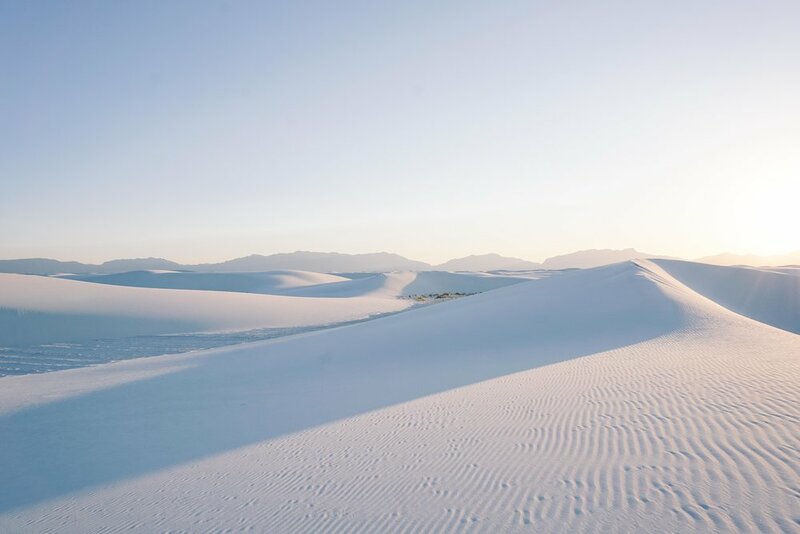 The grandiose scene of White Sands captured on our cameras could only attempt to encapsulate the truly magnificent landscape. If you're ever venturing out to the Southwest, do yourself a favor and make a pit stop (or longer) at this place, you won't regret it. Keep up with Rachel’s travels via her blog. 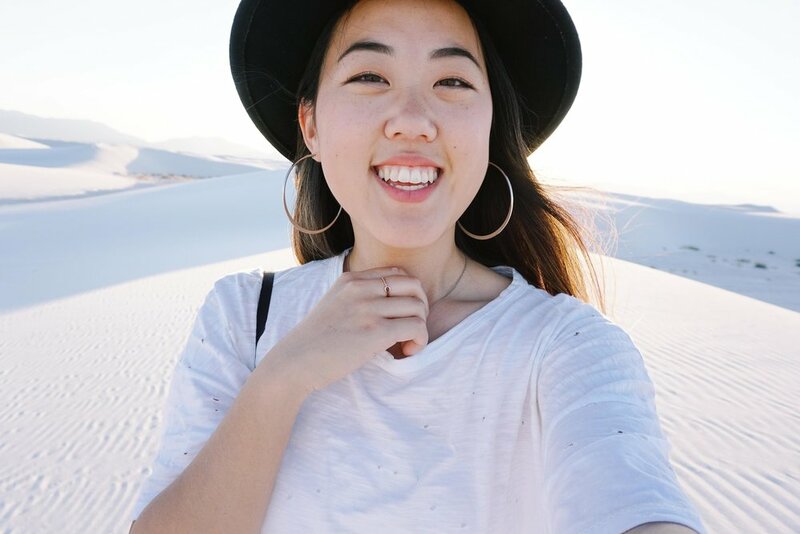 And it doesn’t stop there - be sure to check out her other passions, including Fashion, Food and Photos right here.